They do exist. 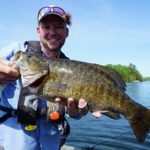 They aren’t easy to see but with the right sense of adventure, the proper equipment and a fly rod in hand, you too can bear witness to a fish that most every angler has on their bucket list. That’s the reputation Arctic Grayling have in the angling world. However, they really aren’t that difficult to catch, admire and release. 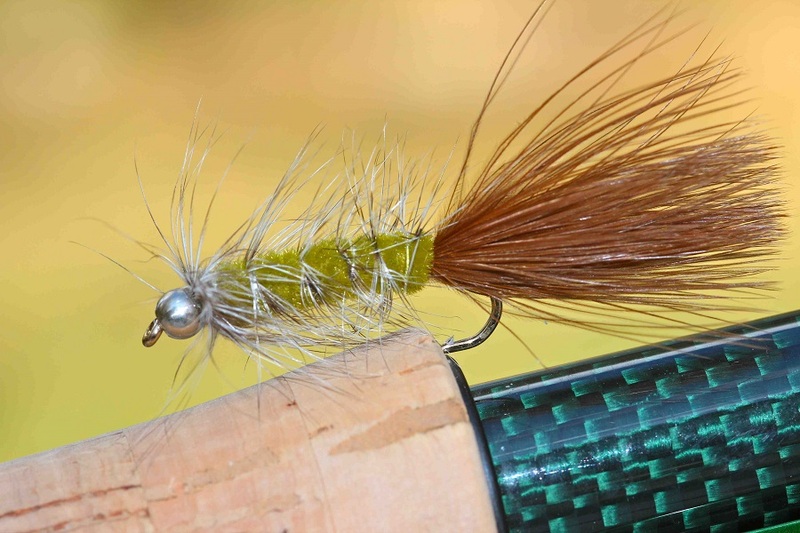 Really, they should be called Cold Water Grayling, Northern Grayling or even just Grayling as the “Arctic” vernacular casts a wild, remote almost inaccessible shadow over these fantastic adversaries on fly. Northern Canada has aspects of its geography considered virgin. That said, today “remote” is extremely accessible, which opens up entire watersheds to anglers looking for a unique adventure. 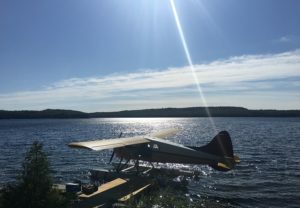 Milton Lake in Northern Saskatchewan is well known as a trophy northern pike and lake trout fishery from spring through fall. Here, there are also incredible opportunities to access grayling, these unicorns of the north, in untouched and pristine waters. 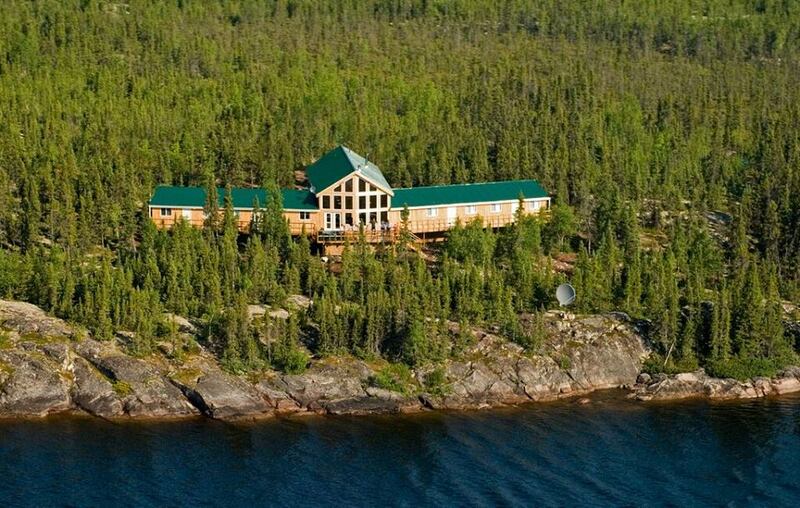 Milton Lake Lodge is located on Milton Lake which is part of the Porcupine River system. 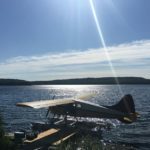 It’s the only lodge on the system and is remote enough that the only access is via float plane. Once there, you are immersed in Canada’s near north with all it has to offer in both flora and fauna. Grayling are a member of the salmon family. 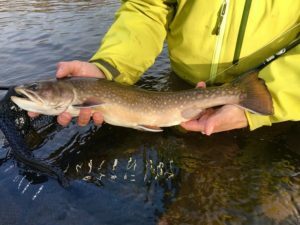 Like all salmonids, they thrive in clear, clean, cold water and are generally found in the more northern lakes and rivers in Canada. They primarily eat aquatic invertebrates and bugs which make them fantastic candidates for fly anglers. 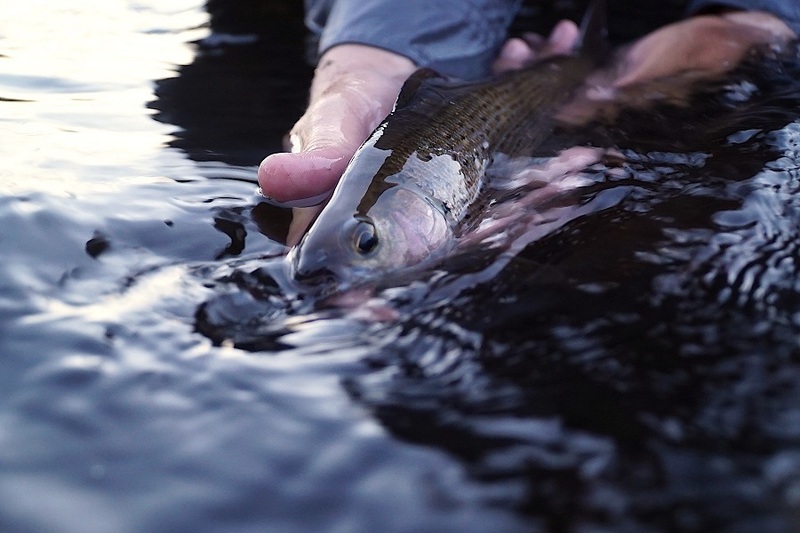 Fly fishing for grayling isn’t unlike river fishing for any other trout or salmon species. 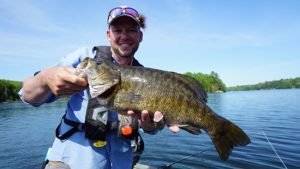 It’s recommended you use every single river tactic you know to approach, present, catch and release these fish. Take a minute upon your approach to observe the water. Look for flashes, sips, slashes or any “unnatural” water behavior which may be signs of feeding fish. Grayling are a wonderful species to target with dry flies and almost always seem to be looking up. 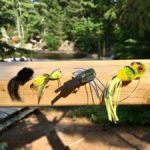 Begin with large brash offerings targeting aggressive fish and pare down as you put the grayling puzzle together. Grayling can get quite large. The IGFA world record grayling weighs in at nearly six lbs and are stunningly beautiful fish. They are famous for their pronounced dorsal fin which in some circles has them referred to as the Sailfin of the Treeline. With purples, reds, oranges and pinks splattered against their silver bodies, they are a true wonder. They will take nymphs, stoneflies even small woolly buggers and streamers. Topside, they will rise to small ants, terrestrials and humpys. 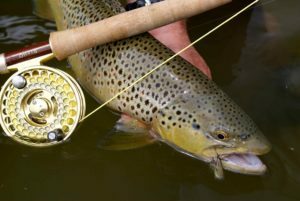 A 4-5 weight fly rod is all you need, paired with a weight forward floating line. Leader material should match your fly so consider 5X – 7X. 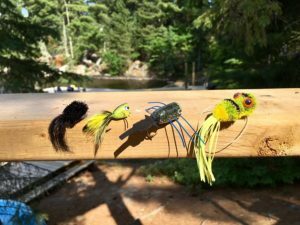 They are not leader-shy in any way and at Milton Lake Lodge, it’s safe to say they have never seen artificial flies – ever! How do we know they haven’t seen flies? It’s simple! Milton Lake Lodge has just invested in a hovercraft. This mode of transportation is key to access both the tributaries and the main stem of the Porcupine River. These parts of the river have literally never been fished! They are one hundred percent inaccessible – until now! So this upcoming season will be a first at Milton Lake Lodge – it’s going to be a season of exploration and discovery in search of these unicorns of the North. 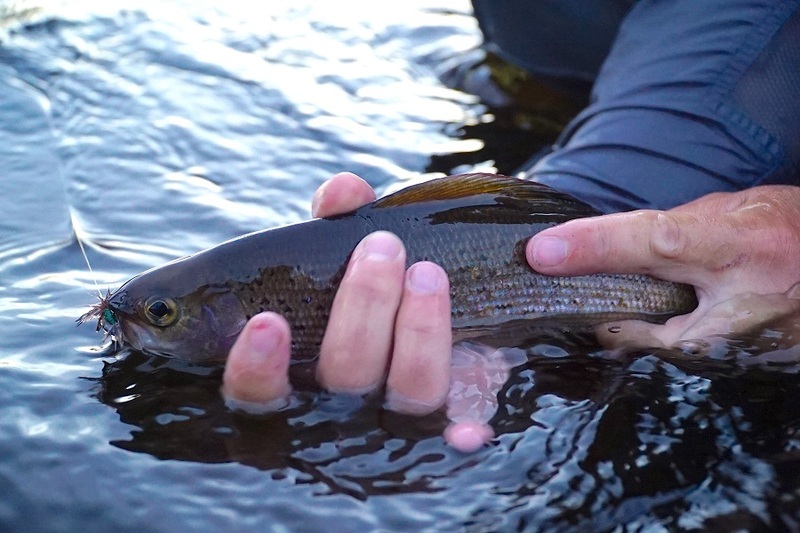 Grayling are no longer the elusive fish they’re sometimes portrayed to be; they are now accessible, fun and extremely fly-friendly! Getting into grayling territory is half the adventure of targeting these wonderful fish. They fight, jump, eat and are located in some of the most incredible environments still out there for adventure seekers. 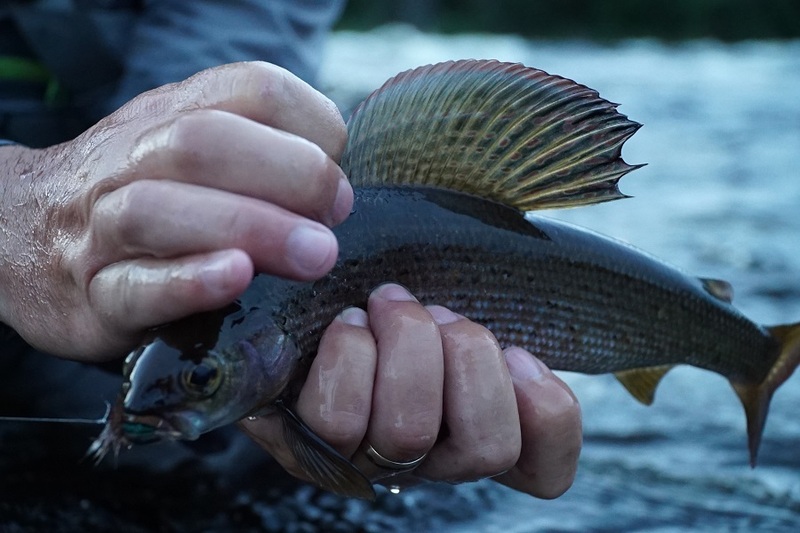 So, do yourself a favor and get up here to explore and behold the wonder that is Arctic grayling at Milton Lake Lodge.